A shocking new undercover video exposes the grisly reality of ripping apart fetuses. Editor’s Note: This piece has been updated since its initial posting. A shocking new video has just been released by the Center for Medical Progress, the undercover investigative group that in 2015 released videos showing that Planned Parenthood affiliates have profited from selling the body parts of aborted babies. This latest video is a preview of footage that CMP investigators gathered at the 2014 and 2015 National Abortion Federation conventions, attended by hundreds of members of the abortion industry each year. 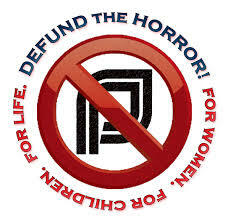 (The NAF is a major trade group of North American abortion providers, and Planned Parenthood makes up about 50 percent of its members and leadership.) Here are some of the most horrifying remarks from the brand-new undercover footage. Attendees made some of these comments during official presentations, and others directly to undercover CMP investigators. Dr. Lisa Harris, the medical director of Planned Parenthood of Michigan: Given that we actually see the fetus the same way, and given that we might actually both agree that there’s violence in here. . . . Let’s just give them all the violence, it’s a person, it’s killing, let’s just give them all that. Dr. Ann Schutt-Aine, the director of abortion services for Planned Parenthood Gulf Coast (which has been referred to local law-enforcement for criminal charges related to fetal-tissue trafficking): If I’m doing a procedure, and I’m seeing that I’m in fear that it’s about to come to the umbilicus [navel], I might ask for a second set of forceps to hold the body at the cervix and pull off a leg or two, so it’s not PBA [partial-birth abortion]. Dr. Stacy De-Lin, the director of abortion services for Planned Parenthood of New York City: But we certainly do intact D&Es [dilation and extraction, otherwise known as partial-birth abortion, a method that is illegal under federal law]. Talcott Camp, the deputy director of the ACLU’s Reproductive Health Freedom Project: I’m like — Oh my God! I get it! When the skull is broken, that’s really sharp! I get it! I understand why people are talking about getting that skull out, that calvarium. 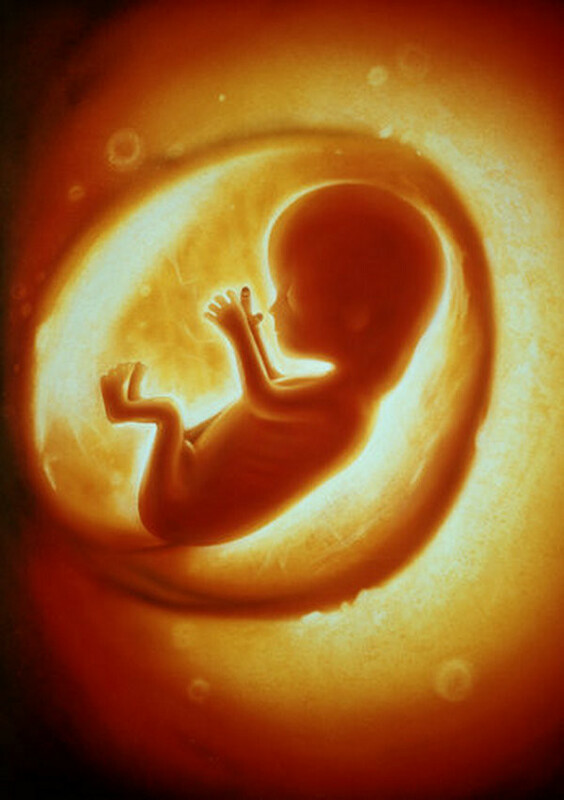 Dr. Susan Robinson, an abortion provider at Planned Parenthood Mar Monte: The fetus is a tough little object, and taking it apart, I mean, taking it apart on Day One is very difficult. . . . You go in there, and you go, “Am I getting the uterus or the fetus? Oh, good, fetus. [Robinson makes a stabbing sound effect] What have I got? Nothing. Let’s try again. Below are some comments from the footage that provide further evidence of Planned Parenthood’s involvement in illegally profiting from fetal-tissue trafficking, as well as altering abortion procedures to collect intact organs, which is also illegal under federal law. Dr. Leslie Drummond, an abortion provider at Planned Parenthood Mar Monte (a PPFA affiliate that contracted with a biotech firm to be paid per fetal organ provided): I get a lot of oohs and ahhs from StemExpress [biotech firm]. You know, they’re wanting livers. . . . Last week I was in Sacramento, and she said, “I need four intact limbs.” And I said, you want what? 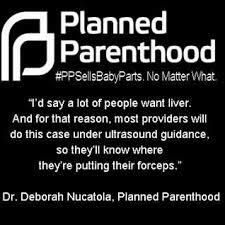 Dr. Deborah Nucatola, the senior director of medical services for PPFA: You know, sometimes she’ll tell me she wants brain, and we’ll, you know, leave the calvarium in till last, and then try to basically take it, or actually, you know, catch everything and keep it separate from the rest of the tissue so it doesn’t get lost. StemExpress procurement manager: There’s a lot of clinics that we work with that, I mean, it helps them out significantly. Deb VanDerhei, the national director of CAPS for PPFA: But the truth is that some might want to do it to increase their revenues. And we can’t stop them. Dr. Stacy De-Lin, the director of abortion services for Planned Parenthood of NYC: But I think a financial incentive from you guys [CMP investigators posing as tissue buyers] is going to be like . . . the people who we have to get this approved from will be very happy about it. Dr. Paul Blumenthal, the former medical director for PP of Maryland: I know Planned Parenthood sells a lot of stuff [fetal organs] to people. Both the NAF and Planned Parenthood sought and obtained a preliminary injunction against the Center for Medical Progress to prevent the release of these undercover videos. That civil suit is currently on appeal. But California’s attorney general took matters into his own hands in late March, charging CMP investigators David Daleiden and Sandra Merritt with 14 felony counts of illegally recording “confidential communications.” The state refuses to name the 14 accusers in the criminal case, even though Daleiden and Merritt have themselves been charged publicly. The gruesome footage from this latest video leaves no doubt as to why NAF and Planned Parenthood want to silence CMP’s investigators. “Every video recording for which the attorney general is charging David was obviously and unquestionably made in a public place where it could not possibly be considered ‘confidential,’” says Brent Ferreira, one of Daleiden’s defense attorneys. The gruesome footage from this latest video leaves no doubt as to why NAF and Planned Parenthood want to silence CMP’s investigators. Those in the abortion industry know they’re taking human life. They just don’t care. Updated May 26, 10:40 a.m.: A California judge ordered the CMP’s defense attorneys to remove the video footage from YouTube and from their website. More information is available here. — Alexandra DeSanctis is a William F. Buckley Fellow in Political Journalism at the National Review Institute. 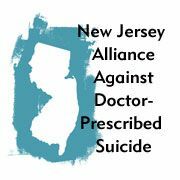 Take Action to stop Physician Assisted Suicide poison in NJ! Update: The Senate Health Committee released A2451/2474 from Committee on 11/3/16 by a vote of 5-3 with one abstention. Please take the action listed below immediately! The full Assembly passed A2451, the Physician Assisted Suicide bill on 10/20/16. Below is the 10/20/16 Assembly Roll Call Vote on A2451. Action needed: Call your state Senator and urge him/her to vote NO on A2451/S2474, Then call Gov Christie and urge him to veto A2451/S2474 if reaches his desk. Phone # for Governor: 609 292 6000. You can also take action by clicking on the “legislation” heading from this webpage and taking action on the third item that is titled, “No Assisted Suicide.” Thank you! Update: On June 29, 2016, Governor Christie vetoed these two bills once again. Call and email Governor Christie to thank him for eliminating these funds in the budget and for consistently vetoing legislation to put these funds back in the budget every year since he took office. Please thank him for vetoing A3672/S3103, and A4604/S3104 again this time. Governor’s phone: 609 292-6000. Email the Governor here. Here we go again. The Democrat Leadership in Trenton is once again pushing to fund their favorite core constituency – the abortion industry! 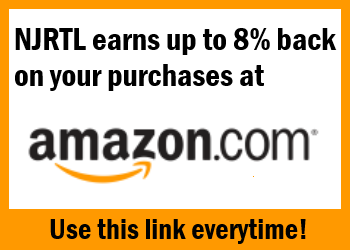 Please see NJRTL’s comments in the bottom of the article (bolded) below, then take immediate action. 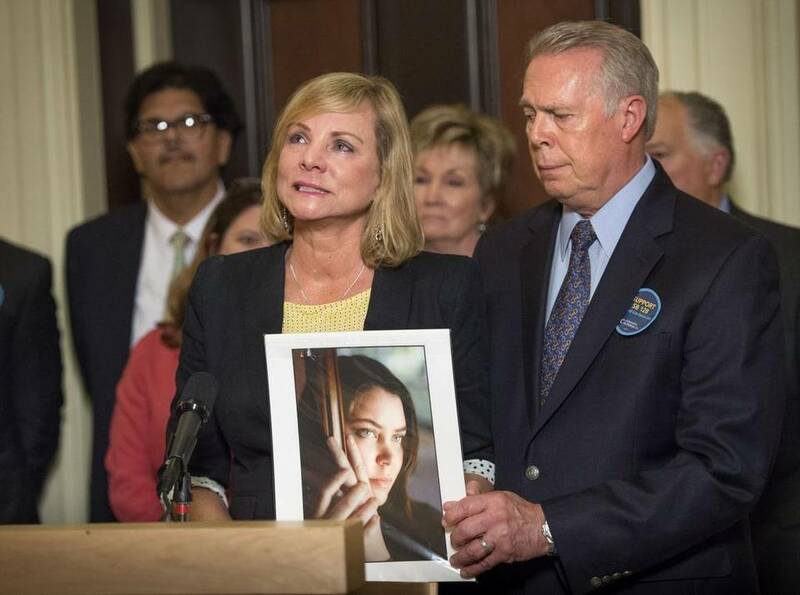 Bills A3672/S3103 and A4604/S3104 were released from the Assembly and Senate Budget Committees today and are scheduled to be voted on in the Senate and Assembly this Thursday, June 25th. Please take the following action immediately to oppose these bills. 2. Call and email Governor Christie to thank him for eliminating these funds in the budget and for consistently vetoing legislation to put these funds back in the budget every year since he took office. Please urge him to veto A3672/S3103, and A4604/S3104 again this time. Governor’s phone: 609 292-6000. Email the Governor here. TRENTON — Gov. Chris Christie’s boast that he is the only governor in New Jersey history to eliminate state funding for Planned Parenthood may play in conservative states, but it alienates most New Jerseyans who want women to have access to family planning services, protesters said Monday. Chanting “My health! My life!” about three dozen women and a few men gathered in the Statehouse courtyard with state Senate Majority Leader Loretta Weinberg (D-Bergen) and Pamela Lampitt (D-Camden) to draw attention to the governor’s remarks last week about cutting $7.5 million in 2010 for women’s health centers. At the time, the governor said the cuts were driven by a budget crisis, adding gynecological services and health screenings could be found at other state-supported facilities. Republicans who supported the money before refused to override the governor’s veto based on the financial considerations. But now that Christie has dropped “the facade” and explained his motive, Weinberg and Lampitt said they would push to reinstate the money in the budget, and call upon their Republican legislative colleagues to vote their conscience. Roslyn Rogers Collins, president and CEO of Planned Parenthood of Metropolitan New Jersey, said her center serving Essex, Hudson and Passaic counties, have had to do without $1.2 million a year since that funding cut. It forced them to close a clinic in Passaic County last year, she said. “This is playing politics with people’s lives,” Collins said. A Planned Parenthood Action Fund of New Jersey reported last month said 1.1 million women in 2013 were in need of contraception services because they did not have coverage or could not otherwise afford it. She said 15 percent of women ages 18 and 54 lack health insurance still lacked consistent coverage because they bounce between Medicaid and employer-sponsored plans. “If we do not adequately fund family planning services and expand Medicaid to cover family planning services we are hurting those among us who are the most vulnerable. 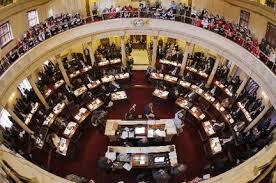 It’s time the governor recognize this and get on board,” Fisher said. Marie Tasy, executive director for New Jersey Right to Life, praised the governor and offered harsh words for the legislators who intend to revive the issue. “This is nothing more than a shameful election year maneuver to use taxpayer money to fund the abortion industry, sadly one of the leadership’s favorite core constituencies. Thankfully, Governor Christie has sided with the hard working taxpayers of New Jersey and rejected these measures,” Tasy said.